Art in this country, the practical side: how do you get it out of your head and into the presence of an audience with little to no government support? Oh, for the European model to be here in the United States. I had a wild idea that needed to be a musical. I teamed up with my composer friend Paul Rudolph, secured a residency at the O’Neill Theater Center, applied for two grants, assembled some of the most talented people I know and we hammered the entire piece together. The cast had bonded, the audiences applauded, and I was thrilled! 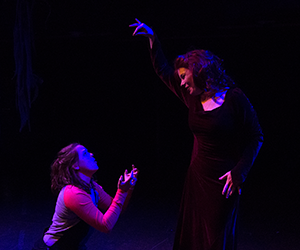 Now, we have the opportunity to present our Halloween Musical to a New York City audience from October 18-November 3rd at the Connelly Theatre. Here We Go… any help at all will be deeply appreciated! A Kickstarter project will be launched on May 15th. 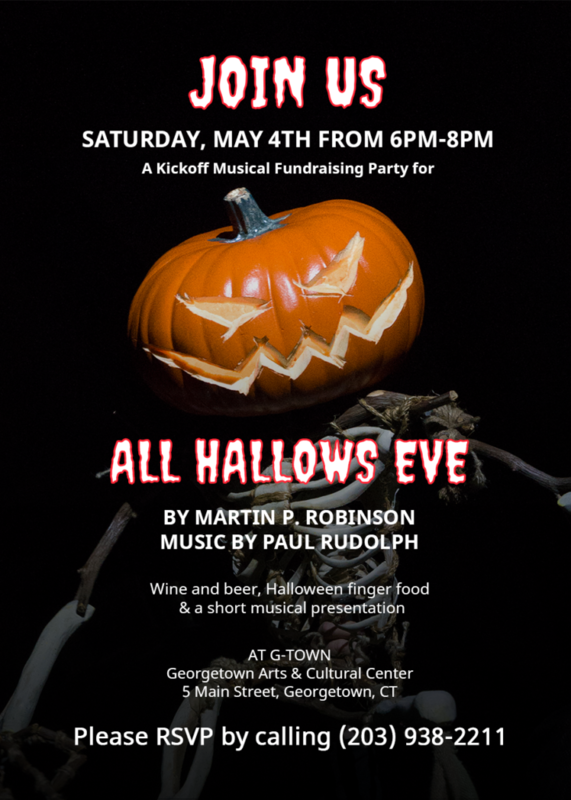 In the meantime, please contact us to get more info on our fundraising cocktail party on May 4th! All Hallows Eve is the proud recipient of a Jim Henson Foundation Seed Grant and Project Grant. 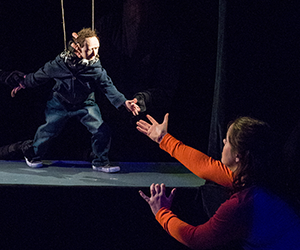 We are grateful to be fiscally sponsored by The Flock Theatre Company, New London, CT.
All Hallows Eve had a two-week residency at The O’Neill Theatre Center in February 2018.